The first step of course is to signup for AdMob. We need Google to know about our app and get an ID we’ll use in our app’s theme. Pick your favorite Google account and click Sign up button. Then follow the steps, it shouldn’t be long. First we’re going to create an app. For this tutorial, we’ll add our app manually but you can also register an app which is already available in app stores. 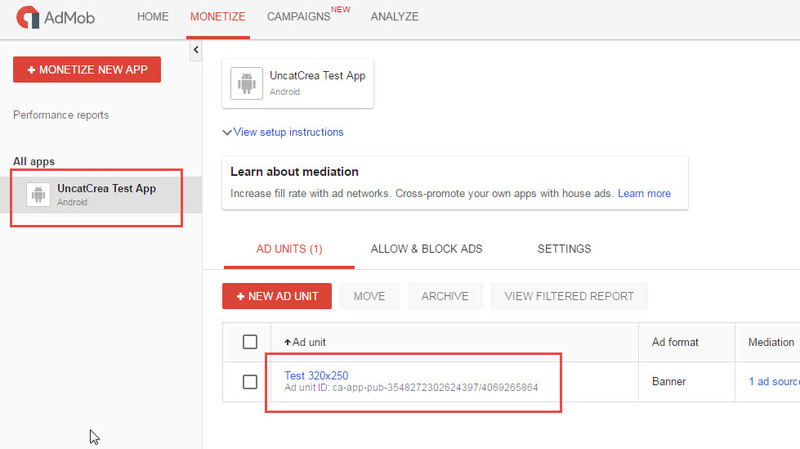 You can then declare ad units which are the banner types you want to have in your app. For the tutorial, we’ll simply create a standard banner. Good to know: app’s name and ad unit’s name are only used in the AdMob backend interface. 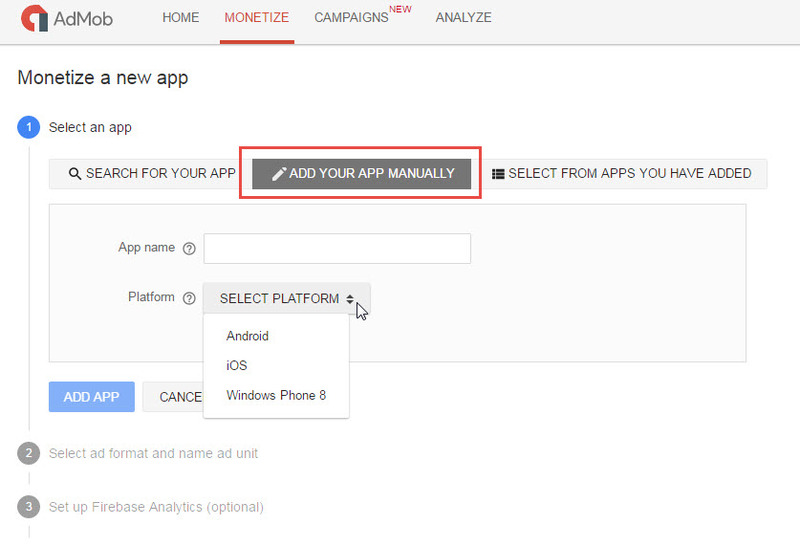 When done, you should see your app and your ad unit in the Monetize tab. Under the ad unit’s name, you’ll see the ad unit’s ID (something like ca-app-pub-8664272302624397/4763345864). Copy it somewhere (eg. Notepad) as we’ll need it later in this tutorial. Today, we’re going to use a great plugin called AdMob Pro done by created and maintained by Raymond Xie. 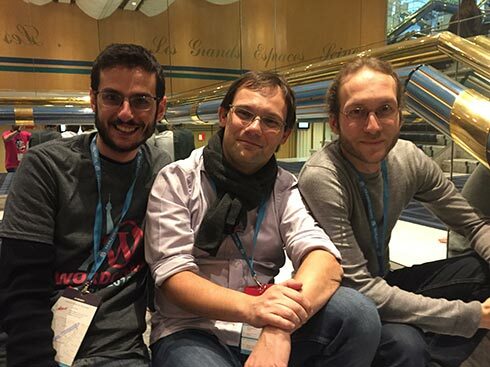 The plugin is available on GitHub and Raymond also offers a premium support for it. At least give it a star on GitHub, it totally deserves it. Good to know: in this tutorial, we assume that you use PhoneGap Build to compile your app. 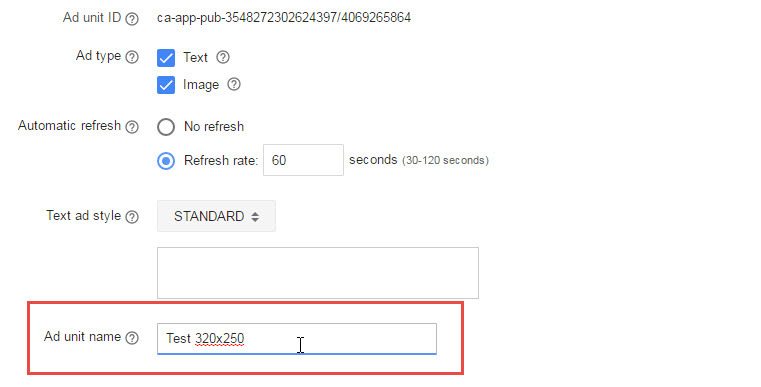 Find the Plugins text field in the PhoneGap Build box. There you can register a plugin per line as XML elements. To register AdMob Pro, copy the following line inthe Plugins field: <gap:plugin name="cordova-plugin-admobpro" source="npm" /> . Before that, a quick pause to say that I am going to add the test banner in a very basic way but be aware that AdMob Pro can a lot more than that and the GitHub plugin’s repository has a great documentation. Be sure to check it to learn its tricks. 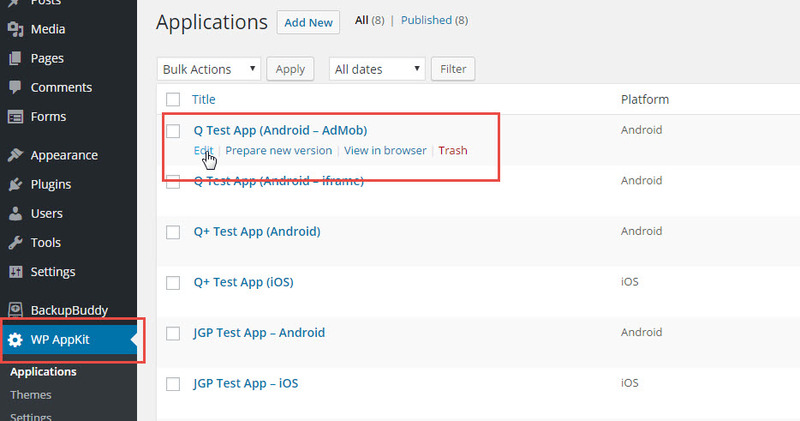 Good to know: you may notice that we use the Q for Android default WP-AppKit theme but of course, you can use any theme. We’re also testing if the AdMob object exists (meaning that the Cordova plugin has been added correctly). 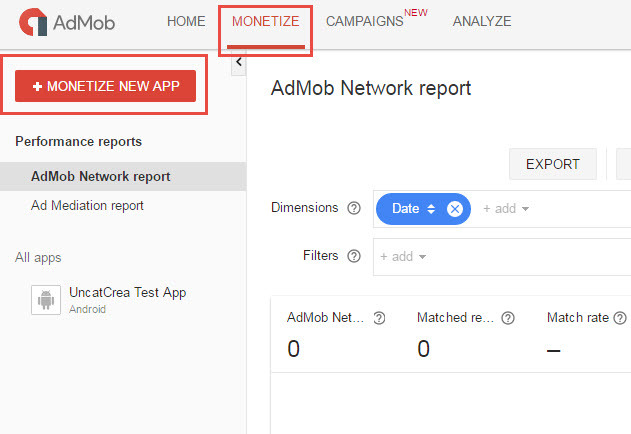 Again, it is a very basic way to use AdMob and you should check the plugin’s documentation and examples to create a lot better AdMob implementation for your app. We’re done now with this tutorial. I hope, it has been useful for you. As usual, if you have any questions, please use the comments below. It does not work for me, is it still available, because the AdMob platform is different from the tutorial? Hi Mike, this error occurs with the AdMob Cordova Plugin, is that it? 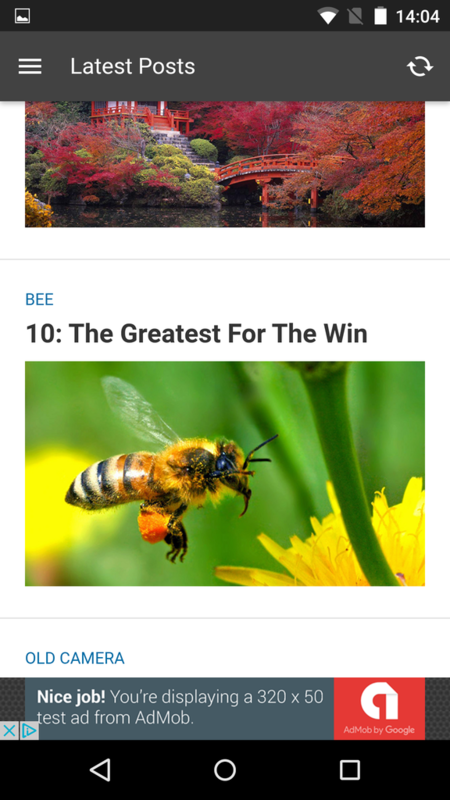 Can you please write to support[at]uncategorized-creations.com with more information about your issue so that we can try to narrow down what the problem is? If something useful for others comes out, we’ll post it back here. Hi, please write to our email support support[at]uncategorized-creations.com so that we can try to narrow down what’s causing your error. We will update the tutorial shortly to reflect this change.